A sweet new addition is coming to Needham this Spring. 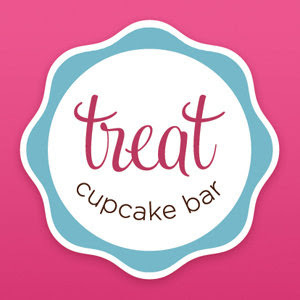 Treat Cupcake Bar will be opening in May right in Needham Center, just a few miles outside of Boston. 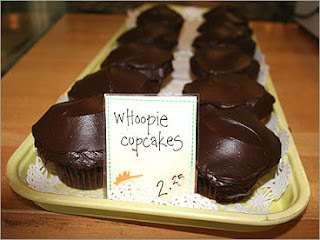 They're coming to CupcakeCamp and rumor has it they're bringing Red Velvet cupcakes and Chocolate cupcakes. Sounds delicious! Below are pictures of their scrumptious Bailey's cupcake and carrot cupcakes. Read more about Treat on their Facebook page. 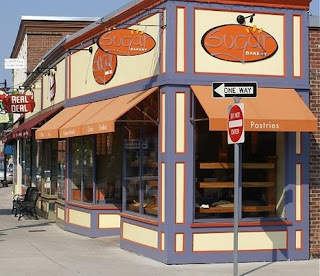 Sugar Bakery of West Roxbury is coming! 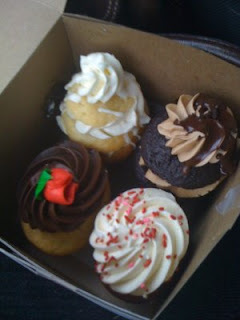 Have you tried the cupcakes from West Roxbury's Sugar Bakery? Well, you will soon! They've confirmed their attendance at CupcakeCamp. They're bringing as many as 20 different kinds of cupcakes!!! Any special requests? Flavors include Caramel, Lemon, Reverse Boston Cream Pie, Mallomar, and Fluffa Nutter. Petsi Pies is coming to CupcakeCamp Boston!! Some of your favorite bakeries in Boston will be coming to share cupcakes. Petsi Pies, home of the signature Coconut and Whoopie Pie cupcakes, as well as their stellar Red Velvet and Carrot cupcakes, has confirmed their attendance. We're so excited they will be joining us! Petsi Pies has a location on Beacon St. in Somerville and on Putnam Ave in Cambridge. Read more about Petsi Pies here and follow them on Twitter, @PetsiPies and @PutnamPetsiPies. 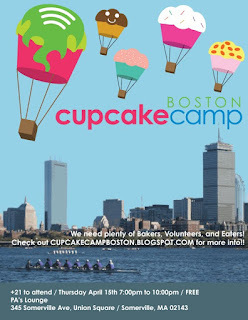 CupcakeCamp Boston has arrived!!! Please join us Thursday April 15th, 2010 at 7:00pm at PA's Lounge in Union Square, Somerville. Join the facebook event at http://www.facebook.com/event.php?eid=340782659428&ref=nf CupcakeCamp is a free and open gathering of people who enjoy cupcakes. Attendees are encouraged to bring cupcakes, but it is not required. If you are interested in coming and/or bringing cupcakes, please complete the registration form here http://bit.ly/b1pekG Please email questions to cupcakecampboston@gmail.com. Stay tuned for more news and announcements. Hope to see you there!